In the traditional form of the Divine Office, the Matins readings for the first two weeks of September are taken from the book of Job. The system of Scriptural readings assigned to the Office goes back to the 6th century; it originated in the ancient Roman basilicas, but we know nothing about how it was devised. When it was extensively revised in the Tridentine reform, the basic pattern of readings (Isaiah in Advent, St Paul after Christmas, Genesis in Septuagesima etc.) was not changed, but completed and expanded. The Septuagint translation of Job paraphrases the Hebrew words of Job’s wife “bless God” with “speak a word against the Lord.” The Greek text of this verse (2, 9) also contains a long and quite beautiful interpolation; only the parts underlined here are in the original Hebrew. In the Byzantine Rite, this passage (Job 2, 1-10) is read at the Vespers of the Presanctified Gifts on Spy Wednesday, the first chapter being read at the same ceremony on Monday and Tuesday. At the Divine Liturgy of the Lord’s Supper, which is joined to Vespers, the Lord’s first speech to Job is read from chapter 38, along with the beginning of chapter 42, which concludes the story. At Vespers of Good Friday, the rest of chapter 42 is read, with another interpolation at the end. 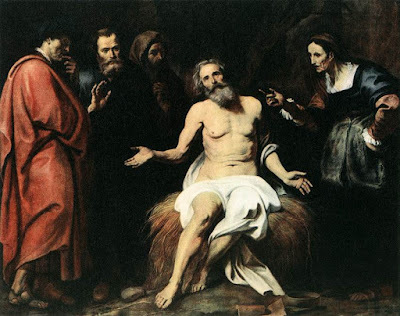 After the last words of the Biblical text, “and he died an old man, and full of days.”, are added the following. 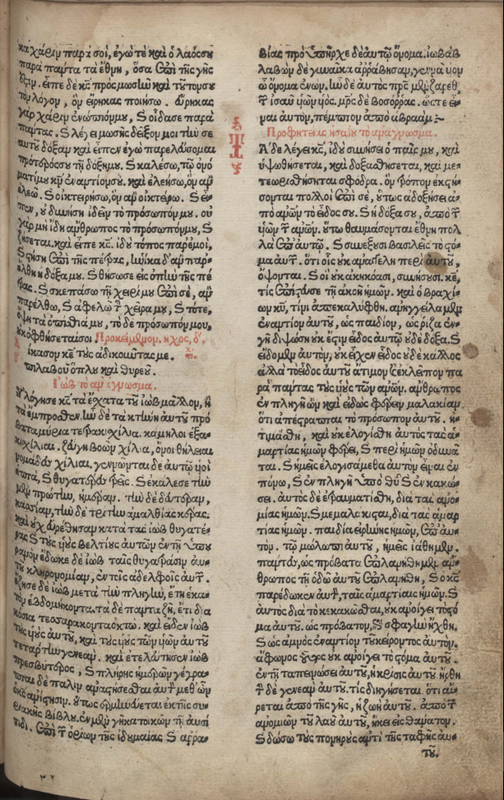 The reading of Job on Good Friday (preceded by a reading from Exodus 33, followed by Isaiah 53) from a Greek Triodion printed in 1586. The liturgical reading on Good Friday ends here, but the Septuagint also adds the following to the end. 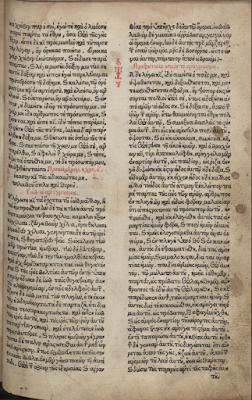 Lastly, we may note that in the Syriac Bible, to which the Greek text refers above, the book of Job is placed after the Pentateuch, according to a tradition that Moses himself was either its author, or translated it from Arabic into Hebrew.